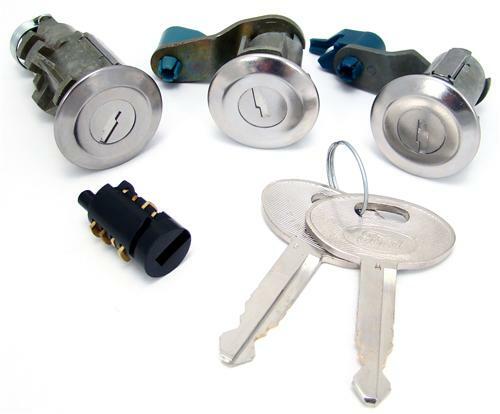 Replace the worn out lock cylinders on your 1979-1993 Fox Body Mustang with this Mustang lock set with machined bezels. This 5.0 Resto premium quality lock set for your 1979-1993 Fox Body Mustang LX, GT, or Cobra is a must have when doing a restoration project! 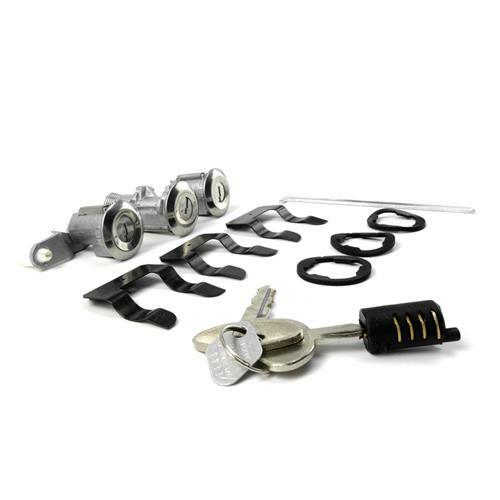 The lock cylinder kit features machined bezels and includes 2 door lock cylinders, 1 trunk/hatch lock cylinder, 1 glove box lock cylinder, lock extension, 2 matching keys, 3 retaining clips, and 3 gaskets! 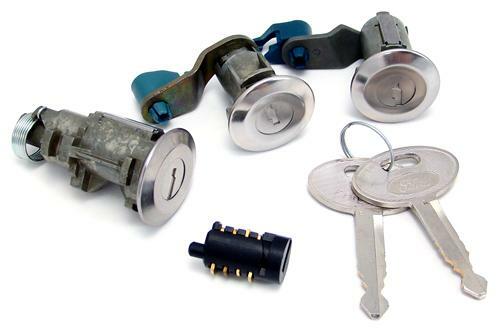 This is a great solution to replace all of your locks without having to get a locksmith to make new keys for your Mustang. Quick and easy installation, plus they look great! If you are using this kit on a 1979-1986 Mustang, the glove box lock cylinder will not be used. It fits 1987-1993 Mustangs only. - This lock set features a stainless lock cylinder and a black bezel. - Will work on 79-86 Mustang excluding glove box. 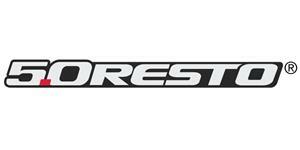 You don't have to live with those broken or ugly lock cylinders on your 1987-93 Mustang thanks to 5.0Resto!! Even better you can consolidate all your keys down to one easy to find lock key!! 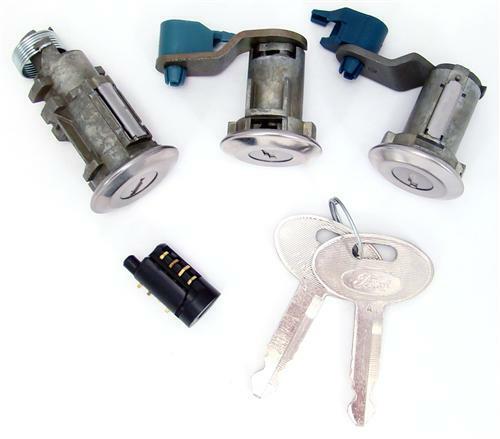 This kit includes two door lock cylinders, one hatch/trunk lock cylinder, one glove box cylinder, two matching keys & three lock cylinder gaskets. It is the easiest way to replace all your locks in one kit. No lock smith required for installation! 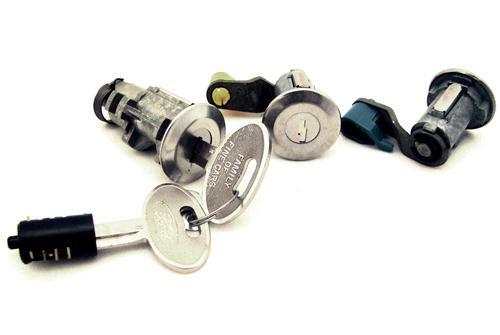 All lock cylinders feature matching pre-cut key sets for one simple key to lock and unlock your glove box, doors and hatch/trunk. The keys feature the Ford licensed logo for an factory replacement look and finish. These sets are available in silver machine finish and a black finish. Click the link above to see all of our door lock and restoration parts!! These are perfect for your project Foxbody Mustang restoration!! !